How many of you are into the stance scene? wow...thats something I have never seen before....have to look into those. Matt, what would an aggressive ET for this car be? Can we run 19x10.5 width tires in the rear and 19x9.5 in the front? Agreed . 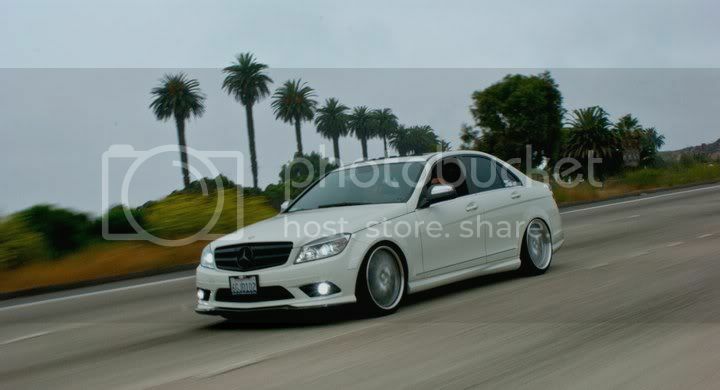 I think these cars look good like this although its not for everyone . Most people work very hard to afford a Mercedes or other highly engineered cars and by the time they get said car their taste will have changed . Example : s class buyer up to their 30's might swap out wheels or maybe a tune ... someone older say in their 40s probably wouldnt be interested in changing anything . Its really all about age demographic . Agreed about the age thing. I can't believe that my tastes have changed over the years. I prefer the slightly lowered look as opposed to the "slammed" look. I'm running 19x 8.5 and 9.5. 9.5 et 25 10.5 et 30...pretty damn close being perfect IMO..but I think I would go in 30 up front and mid 30's in the back. On this car I dont want too much poke. I am still waiting for him to post three quarter views of the car and the poke. You nailed it with that comment - I prefer my cars unmolested. I generally would not buy a car that has been modified like any of these cars. did you cut stock springs? and how much? i see your car on western almost everday. Wow, it has really had an impact on you... Pet ran over by "Hella-Flush" ride? Around here the people that follow the hella flush scene have expensive wheels and top of the line air systems/coilovers. I don't know what they are talking about with the cut springs and sport max wheels....? I'd just be happy if people kept their original parts and replaced them before they trade the car into the dealership for another car they're going to chop up. 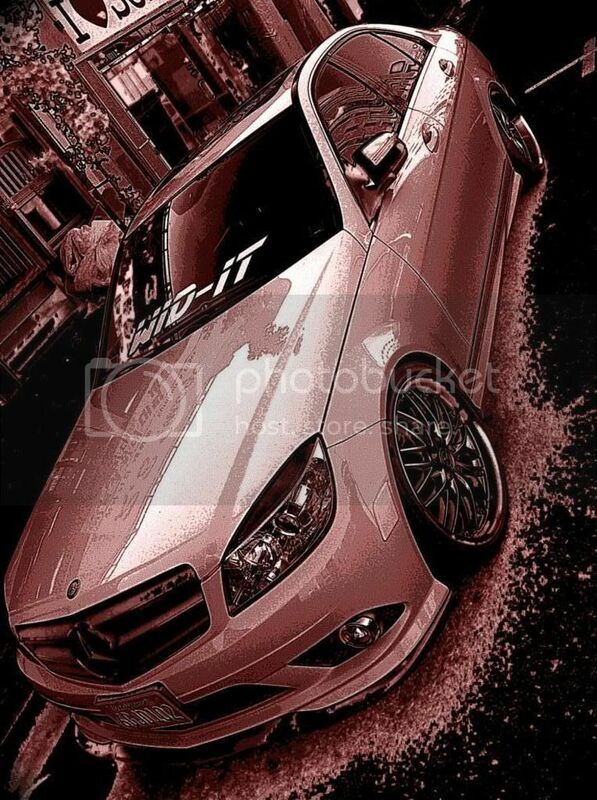 Love the CLS. This is RennTeched, cool. WTF is up with the wheels... deal breaker. That's a joke right? Craigslist/ebay them. What does it take 20min to take wheels off and replace them with wheels that you like? If they are of no value to you sell them for what you pick up new wheels for and make someones day. Simple if you ask me. Cutting springs is a very, very bad idea and dangerous. I've seen springs mangled like a twisted paperclip on an Acura that were cut, he was taking a turn at 10mph. From basics physics, F=kx for springs. F in this case is the force (or load) a spring can handle, k is the spring constant, and x is the distance it is displaced (compressed in this case). All of these things affect how the spring will return back to normal (uncompressed). The most important part here is k, the spring was designed to work within a certain range for a certain load. There are other aspects of progressive springs for ride quality (wound tighter in the upper half vs the lower and at different ratios) but we won't get into that. If you have a car spring that is let's say 10 inches lenth and has a total spring constant (k) of 1.0 (fake number), if you cut 1 inch off of that you aren't increasing the (k) constant by 10% to compensate and support the same load, you're doing just the opposite (and not you could not necessarily be reducing it by 10% either it may be a significant change less). Ever notice how lowering springs are stiffer than stock ones? There's a reason for that, you're asking the lowered springs to support the same weight of the car but in a much tighter suspension travel range (lowered). I.e. if your stock springs are designed to give 3" of suspension travel over normal bumps, etc. that stock spring that has been cut is still designed to give near 3" of travel but over that original 10" of spring (using all of it). Hope this makes sense. All of the examples I've seen where people have cut springs either wind up with something that rides like poop, blow inserts and rides on the bumps stops, or worse. I have never seen a professional racer, shop, or otherwise recommend actually cutting springs. In the 1970s book "How to make your car handle" (don't laugh, a lot the principles are still the same, he outlines a method of compressing the spring and evenly heating in an oven, this 'resets' the ride height of the spring and keeping the same load support). I'm not sure if they even still do this anymore, but with the low cost of a good set of springs, having to take them off the car anyway, why even chance it? Location: UCF area Orlando/West Palm Beach FL. 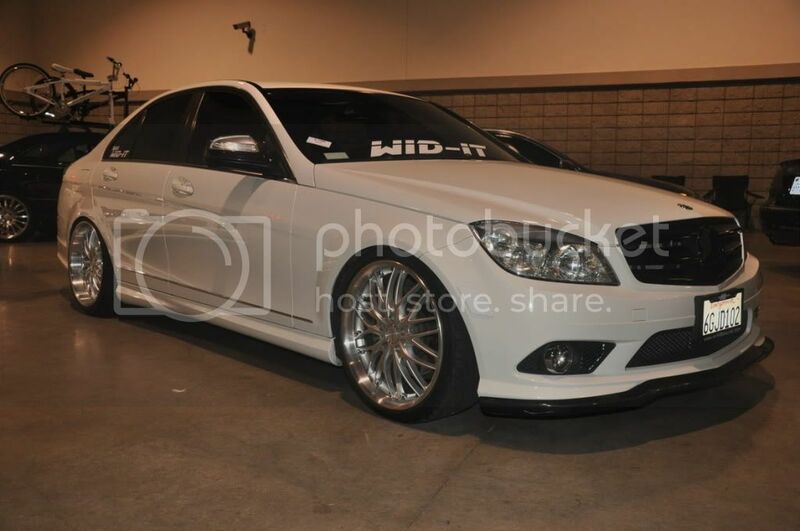 i was always into the stance scene/slamming cars, my old 350z was slammed on tien coilovers, i've been wanting to put coilovers on my c350, but im unsure with which ones to go with? H&R would be my first pick, anyone have any input on these? In my youth/teenage/early 20s (34 now) I have both heated and later cut springs on my Hondas. Can't imagine doing something like that on a 40k+ car though! Guess I'm gettin' old! Hey guys, I'm from Hong Kong! Last edited by dewydang; 03-18-2011 at 05:46 AM. Applaud the optimism, but I think many here will hold out for the next fad that actually improves the cars, not wrecks them! I have it! Let's move on from "stance" to "stability"...thicker antisway bars for everyone! But then no one will crank their neck and go WTF WAS THAT??!! when you drive by. I wasn't sure if the op was a troll or what, but at least the thread is entertaining enough. Quick Reply: How many of you are into the stance scene?